Your account will allow you to manage your profile and email subscriptions, sign up for volunteer projects, make a donation, access discounted logo merchandise opportunities (coming soon), and print financial documents for your records. 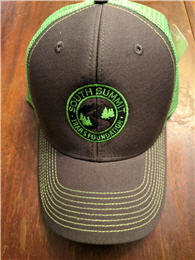 This is some merchandise that you will receive for the premium memberships (Bald Mountain and Kings Peak). Would you like a cool iron-on SSTF patch? Yes, please send me the iron-on patch. I will display it proudly. No thanks, I don't have an iron. 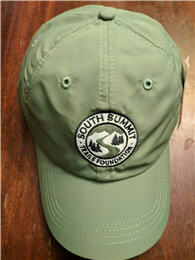 Would you like an SSTF hat or an SSTF T-shirt? Yes, I would love to display my love for SSTF with Hat A! Yes, I would love to display my love for SSTF with Hat B! Yes, I would love to display my love for SSTF with Hat C! I would like a Small T-Shirt. I would like a Medium T-Shirt. I would like a Large T-Shirt. I would like a XL T-Shirt. I would like a XXL T-Shirt. No thanks, just the membership is fine. No merchandise. 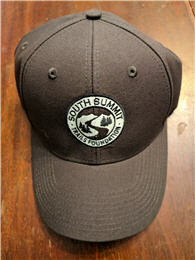 Would you like the coolest gear out there, an SSTF hat and an SSTF T-shirt? Yes, please send me the cool Hat A, but I will pass on the T-shirt. Yes, please send me the cool Hat B, but I will pass on the T-shirt. Yes, please send me the cool Hat C, but I will pass on the T-shirt. Yes, a hat and a small T-shirt please. Yes, a hat and a medium T-shirt please. Yes, a hat and a large T-shirt please. Yes, a hat and an XL T-shirt please. Yes, a hat and an XXL T-shirt please. No hat, but I would love a small T-shirt. No hat, but I would love a medium T-shirt. No hat, but I would love a large T-shirt. No hat, but I would love an XL T-shirt. No hat, but I would love an XXL T-shirt. No thanks. I love the membership. No merchandise needed. How do you use trails? Would you like to be involved in any of the following? Any comments or suggestions for us?